I have finally seen every movie of 2012. Yes, even The Three Stooges. (Note: I lied, I have not seen every movie, but I did actually sit through Stooges). 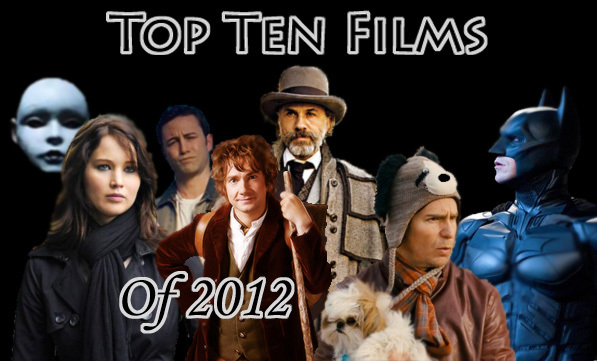 It sounds cliche to say this, but 2012 was a great year in movies. There are so many honorable mentions, that I could easily make this a top 15 movie list. I loved Chronicle, 21 Jump Street, Lincoln and Skyfall. Though they couldn't quite make the top 10. Odd pacing and heavy reliance on one actor don't damage this film. Kathryn Bigelow's most recent wartime film follows Maya (Jessica Chastain) as she is filled with obsessiveness in following a mysterious link to Osama Bin Laden. Chastain is seriously great and deserves the Oscar. This movie had my attention for the entire 157 minutes, even though it didn't give much in terms of action until the final 30 minutes when the Seals arrive for their monumental mission. Ben Affleck may not be the greatest actor, but his directing talent cannot be denied. I look forward to any new film he plans to direct. 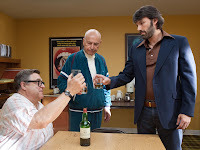 Argo takes him out of his comfort zone, Boston, and into Iran in the late 1970's. Based on a true story, the CIA plans to rescue 6 American refugees from a Canadian consulate by constructing a fictional science fiction film production in Iran. 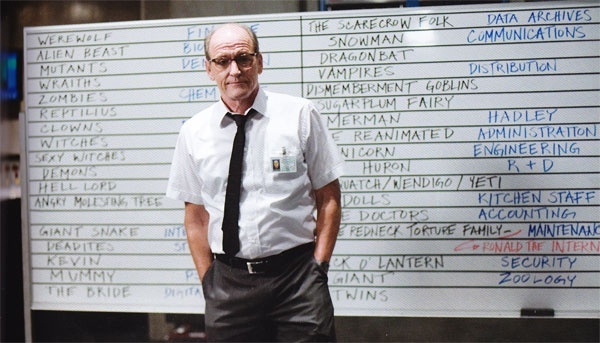 This movie pokes fun at both government bureaucrats and Hollywood producers. Intense, funny, and poignant. Well worth watching. The most beautiful movie of the year, but not in a crappy existential Tree of Life way. I loved the book but never believed it could be adapted to film. Director Ang Lee has pulled it off in a big way. Is meant to be seen on a big screen with its outstanding visuals. I even recommend 3D for this one. If a movie can make me say that, it has to be something great. 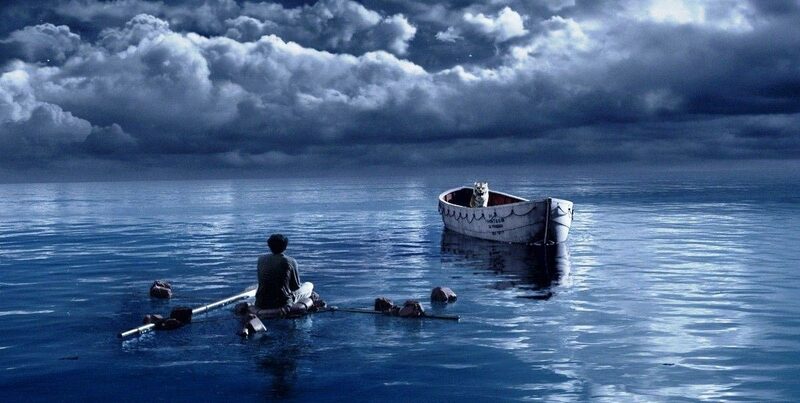 It's a great tale of survival for Pi as he weathers the elements, starvation, and of course the tiger Richard Parker. I'm so glad they stayed true to the challenging end of the book. Quite possibly the most unique movie on this list. It's a screenplay within a movie. If you haven't seen this, I would advise that you don't go in expecting a violent psychopath movie...but at the same time, you should expect it. 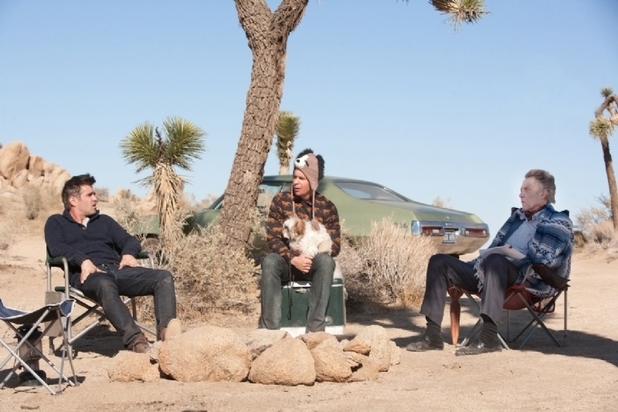 Sam Rockwell is amazing here. He single-handedly gives the best movie monologue of the year. I didn't know what to think at first when the credits rolled, but I keep remembering scenes I loved, which is why I rank it so high. Not Quentin Tarantino's best movie, but still a ton of fun. The Western-style pacing may turn many people off, but it has some of QT's funniest work and great characters. 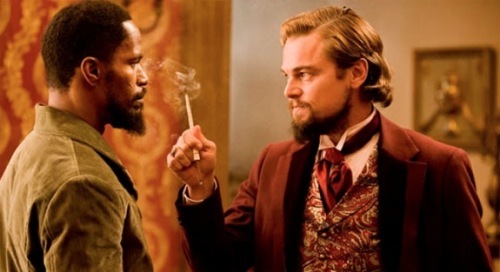 Christoph Waltz steals the entire movie from Jamie Foxx. If you ever wanted to see slave masters in the 1850's get their just rewards, this is your movie. Expect a lot of violence and blood in this one. Great soundtrack as well. This visit back to the shire was well overdue. It had been 9 long years since Return of the King hit theaters. With Peter Jackson behind the camera again everything was right in the world. Sure the 48FPS threw many critics off, but visual flaws don't tarnish the story or characters. I thought it was a perfect balance of whimsy and adventure. Complain all you want about The Hobbit being stretched out into a trilogy. Personally, I can't wait for 2 more movies. Martin Freeman was meant to play Bilbo Baggins. It was refreshing to see he and Gollum play their game of riddles in the best scene of the movie. 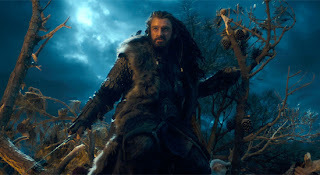 Richard Armitage as the dramatic leader of the dwarves, Thorin Oakenshield, adds weight to a simple dragon-slaying quest. I'll never be able to watch a crappy/trashy horror movie and not think of Cabin in the Woods. This movie is very meta and that may turn people off. Not only does it show us the acting-challenged slasher flick, but we also see why horror movies are so contrived and predictable. I'm a little twisted, but I laughed more in this movie than most others this year (Excluding 21 Jump Street). I still smile when I think of the doom and gloom gas station attendant on speakerphone, the unicorn, the merman, and "Tequila is my lady!" Yes, you would have to see the movie to know what I'm talking about, but if your guilty pleasure is horror, you owe it to yourself to see this. Don't try and over examine the plot, many people get hung up on what the movie was trying to prove. Just sit back and laugh at bad slasher flicks along with it. I now know I will decide on friends based on their like/dislike of this movie. Thank you Joss Whedon and Drew Goddard. Director Rian Johnson must have pulled two random genres out of a hat and ended up with "time travel" and "assassins." But the two ideas clearly worked perfectly together. Bruce Willis hasn't chosen the best roles lately, so his performance in Looper is refreshing and makes me respect him again. Joseph Gordon Levitt (JGL) is my golden boy lately (with the exception of Premium Rush) and I loved seeing him as a young Willis. This movie doesn't have to deliver on giant set pieces or overly-complicated time travel plots. It gives you just enough of both and the experience is immensely satisfying. If you aren't familiar with the plot, it is about Loopers, who are hitmen who assassinate random people sent to them from the future. But when JGL is meant to kill his future self, he hesitates and Willis get away. The mob he works for comes after both of them to wrap up loose ends. I'm a geek for this slow burn science fiction action film. It's no surprise that I love this series. I basically wrote a love letter to Christopher Nolan in my previous review. 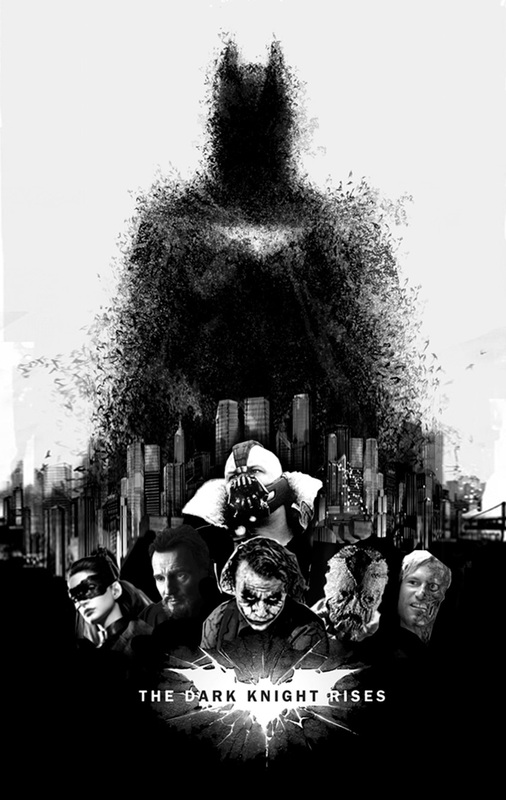 The Dark Knight Rises provided a great conclusion to a near-perfect trilogy. So much time has passed since its release and I would say that people are holding onto a bad taste from this movie. For me, it completed what no other comic book movie could dream of. It took a character, which was ruined in its previous series, and made him real. The villains were less bombastic and became a real threat. These movies are so great that many don't even classify them as comic book movies, and instead Batman is the high standard of any superhero movie. (Avengers who?) Most people are worried that even a rebooted Batman wouldn't be able to live up to Nolan's masterpiece. This movie, above any I've seen all year made me the most emotionally attached, whether it was sadness or triumph. This is escapism at its best. So there you go, bias and all (it's my job right?). It's been a great year and very science fiction/fantasy heavy. 2013 looks to continue on the same trend. I just hope that I can find a dozen great movies as good as the releases this past year.